Anaheim police and Orange County sheriff's bomb squad investigate a pipe bomb found near an alley in Anaheim on Friday, Dec. 11, 2015. 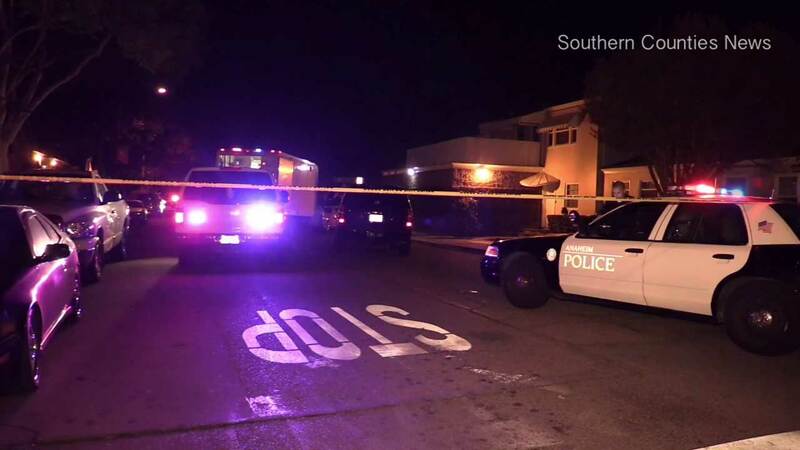 ANAHEIM, Calif. (KABC) -- A suspicious device with explosive material was discovered by a bystander in Anaheim Friday night. A man was walking through an alley on the 300 block of Claudina Street when he spotted the device around 10:15 p.m., with what he said looked like a fuse sticking out of it, according to Anaheim police. Authorities called in the Orange County sheriff's bomb squad, which determined that it was an improvised pipe bomb that had explosive material inside. Nearby residences were evacuated until the device was rendered safe overnight. Anaheim police were investigating the scene to see if they can link the device to anyone.